The pastoral council of Shepherd of the Hills serve as a consultative body to the pastor in promoting the vision and mission of our parish. The pastoral council seeks to discern God's will for our parish and oversees strategic programs. The pastoral council has a number of standing commissions and ad hoc committees that facilitate the ministry of our parish. The commissions of the pastoral council include: Administrative Services, Prayer & Worship, Human Concerns, School, and Christian Formation. This commission of the parish council discerns needs of persons in the parish and the wider community, especially the poor, and identifies resources or activities to meet those needs. They also provide education in regard to pro-life issued and opportunities for parishioners to be actively involved in outreach that promotes the dignity of all human life. This commission of the parish council gives direction to the liturgical aspect of parish life. The commission ensures that parishioners are provided with opportunities to deepen their faith through a variety of prayer experiences and liturgical celebrations. They coordinate preparations for the liturgical seasons of Advent, Christmas, Lent, and Easter and for special celebrations. The school commission assists the principal of Shepherd of the Hills School in fostering the Christian and educational growth of each student in our parish school. The school commission develops policies that govern the operation of the school. They also help to implement the mission statement of our school and promote development and recruitment. The home & school committee is a subcommittee of the school commission and exists as a vehicle for parents to assist in various school needs and events. This commission serves as an advisory body for the Director of Religious Education regarding the religious formation of children and youth as well as for the Adult and Family Minister regarding ongoing adult formation. The stewardship committee coordinates stewardship efforts at Shepherd of the Hills including the annual stewardship month in late summer. The committee looks for ways to encourage greater participation in the parish by all parishioners through the sharing of time, talent, and treasure. This standing committee of the parish council oversees the physical condition of parish buildings and property, its maintenance and upkeep. The committee identifies and articulates the needs of the parish in this area and makes recommendations to the administrative services committee and the parish council. This committee oversees the administration, perpetual care, and maintenance of our six parish cemeteries. 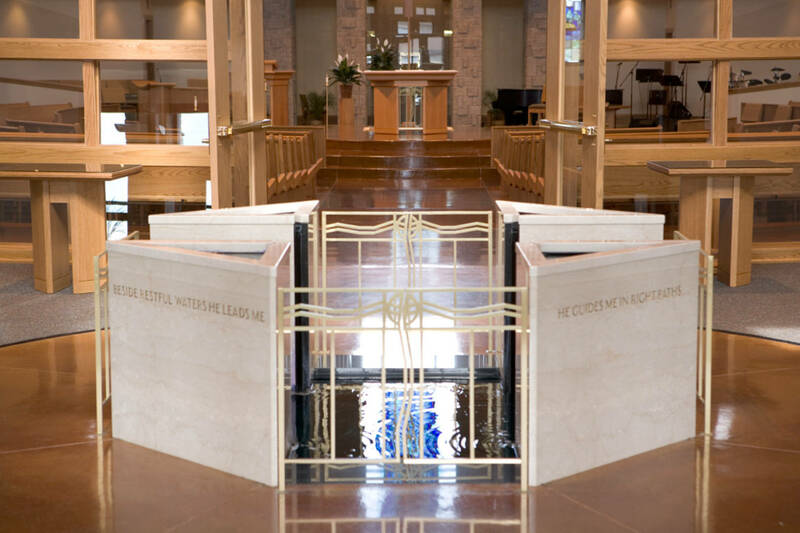 Every Catholic parish in Wisconsin has five corporate trustees. Trustees include Archbishop Listecki (President), Bishop Hying (Vice-President), the parish pastor (Vice-President), and two adult members of the parish who serve as Treasurer and Secretary. The two lay trustees are essential to the civil law functions of the parish corporation and as integral members of the parish council they express their concern for the total parish vision and mission. They also bring their gifts of administration to the large picture of the pastoral care of the parish.